School is out, but some teachers are still in the classroom teaching. DeVee Dietz, an instructor at Sturgis Williams Middle School, along with Marie Steckelberg, an education consultant, have been busy teaching about the wonders of art and science in their summer program called ARTsome Astronomy. 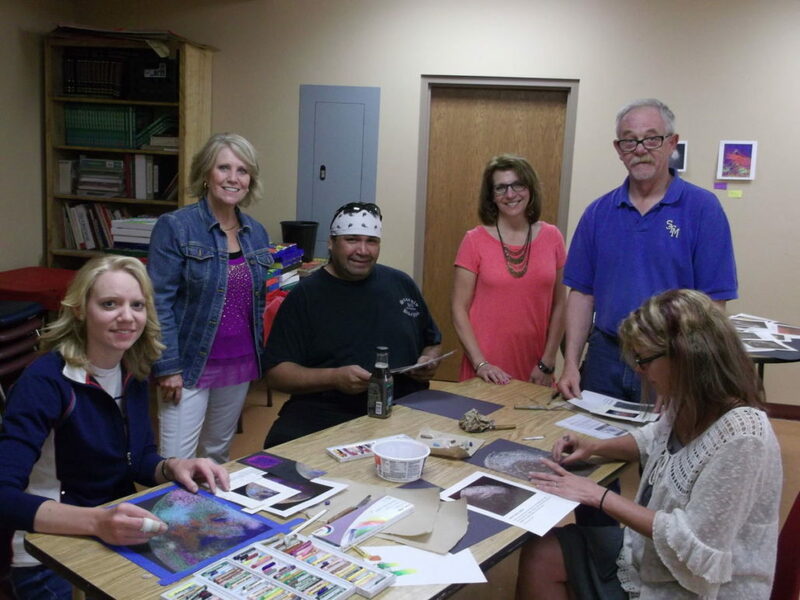 On June 13 and 14, Dietz and Steckelberg taught their course at the Sturgis Williams Middle School Art Room. ARTsome Astronomy has also been held at the schools in Yankton also. The goal of the program is to teach educators how to engage students in hands-on learning activities that merge science and art. The participants in ARTsome Astronomy create pieces of art based on physical features in space, including planets, moons and galaxies. Dietz spoke of the art course, her enjoyment of teaching, and the importance of art as part of the Five Questions Series with the Meade County Times. MCTT: Why do you like art? MCTT: What do you enjoy about teaching? MCTT: How did you get into teaching? MCTT: Why did you host these ARTsome Astronomy classes? MCTT: What does the future hold for you and for this art program?